I, _______________________ (motto), being of sound mind and body, and prepared, on this ____ day of _____________ [Anno ____ Sol in _______ ° of _______] do hereby resolve: in the Presence of _________________________, a Philosophus of the A∴A∴: To prosecute the Great Work: which is, to obtain control of the vacillations of my own being. Further, I promise to observe zeal in service to the Zelatores under me, and to deny myself utterly on their behalf. May the A∴A∴ crown the work, lend me of Its wisdom in the work, enable me to understand the work! 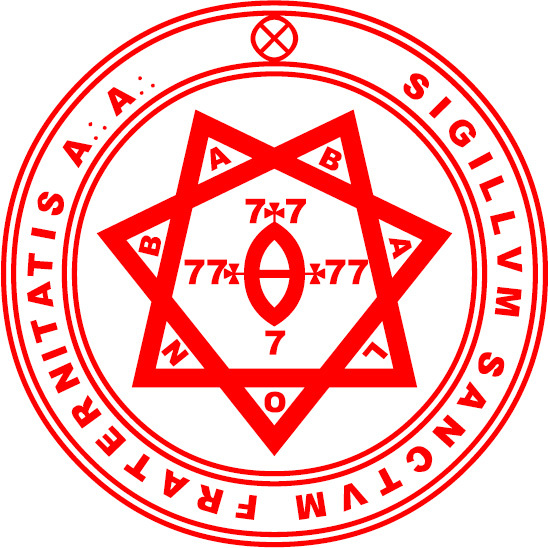 Reverence, duty, sympathy, devotion do I bring to the A∴A∴ and right soon may I be admitted to the knowledge and conversation of the A∴A∴! 0. Let any Zelator be appointed by authority to proceed to the grade of Practicus. Let him cause the necessary addition to be made to his Zelator’s robe. Let him make an appointment with his Practicus at the pleasure of the latter for the conferring of advancement. 1. The Practicus shall proceed to the grade of Philosophus at any time that authority confers it. 2. He shall pass examinations in Liber DCCLXXVII, the Qabalah, and the Sepher Sephiroth. He shall attain complete success in Liber III, Cap I. 3. He shall further show some acquaintence with and experience of his chosen method of divination. Yet he shall be his own judge in this matter. 4. He shall commit to memory Liber XXVII and pass examinations in the Ritual and meditation practice given in Liber XVI. Further, he shall pass the mediation practice S.S.S., in Liber HHH. 5. Besides all this, he shall apply himself to a way of life wholly suited to the Path. Let him remember that the word Practicus is no idle term, but that Action is the equilibrium of him that is in the House of Mercury, who is the Lord of Intelligence. 6. When authority confers the grade, he shall rejoice therein; but beware, for that that is his second departure from the middle pillar of the Tree of Life. 7. Let him not venture while a member of the grade of Practicus to attempt to withdraw from his association with the A∴A∴. Furthermore, he shall construct the magic Cup, according to the instruction in Liber A. One month after his admission to the Grade, he shall go to his Practicus, pass the necessary tests, and repeat to him Liber XXVII. 9. He shall in every way establish perfect control of his wit according to the advice of his Philosophus, for that the ordeal of advancement is no light one. Being a book of Trigrams of the Mutations of the Tao with the Yin and the Yang.An account of the cosmic process: corresponding to the Stanzas of Dzyan in another system. This is an article on the Qabalah in the Temple of Solomon the King, EQUINOX V.
Formerly called ANUBIS. An instruction in a suitable method of preaching. A dictionary of Hebrew words arranged according to their numerical value. This is an Encyclopaedia of the Holy Qabalah, which is a Map of the Universe, and enables man to attain its Perfect Understanding. An Systemam Sceptico-Mystiae Visae Explicandae, Fundamentum Hieroglyphicum Sanctissimorum Scientiae Summae.A complete Dictionary of the Correspondences of all magical elements, re-printed with extensive additions, making it the only standard comprehensive book of reference ever published. It is to the language of Occultism what Webster or Murray is to the English language. A model of Qabalistic ratiocination. This course is specially adapted to the Task of this Grade, the attainment of Gnana Yoga.